August "Capt." Coleman was born in 1884 near Cincinnati, Ohio. Although Coleman claimed his father was also a tattooist, his name has not surfaced as part of tattoo history. In fact, Paul Rogers was always a bit skeptical about that story. 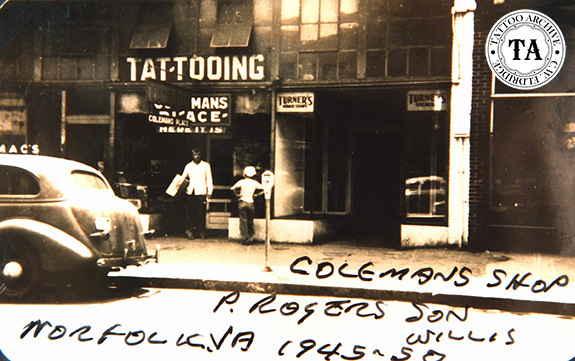 It is of course well known that Coleman settled in Norfolk, VA around 1918 and quickly became a living legend in the tattoo business. It is unclear who did Coleman's tattooing but some of it was probably done by hand. Many of Coleman's tattoos, which included the large eagle, the flag chest piece, the ship on the stomach, the sun designs on the kneecaps, and the fancy socks design, could be seen on the small statue that was displayed in his shop window in Norfolk. This statue is now part of the Mariner's Museum collection in Newport News, Virginia. When Coleman set up shop on East Main Street in Norfolk, VA, it was one of the more "colorful" streets in town. Norfolk was a major seaport at this time with ships from around the world arriving and departing daily. The street was lined with tattoo shops with plenty of sailors to fill them. Coleman's shop was located near the old Majestic Theatre, later known as the Gaiety Theater, a favorite striptease and burlesque house frequented by sailors. Coleman's business card stated that he offered cover work, supplies including needles, designs, colors, stencils, and machines. Coleman used this card for many years, but his approach to the supply business was very low key. Coleman seemed to be very sure of his position in the tattoo world, as was noted on his elaborate two-sided business card. The card shows two photographs of him and mentions all the magazines that had featured articles on him. He didn't even think it was necessary to mention his address, and simply stated, "Look for Coleman's place on Main Street." 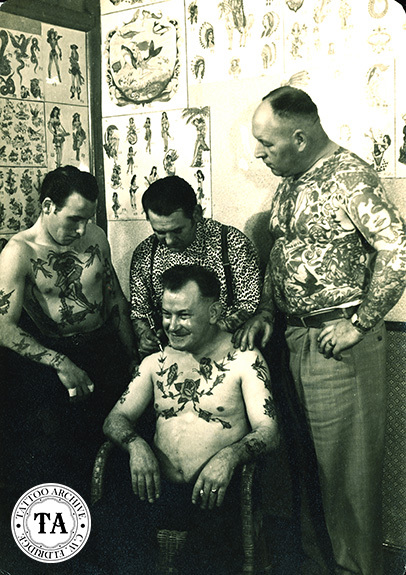 When Norfolk's City Council ruled tattooing illegal in June 1950 by passing Ordinance No. 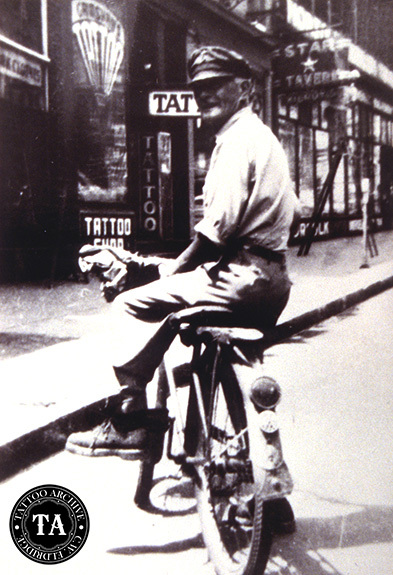 15,668 Coleman, along with many other tattooists were forced out of the city. 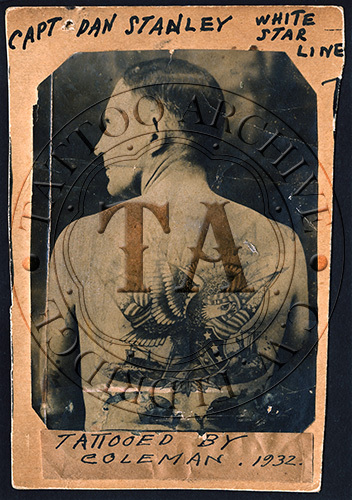 Many of the Norfolk tattooists, including Grimshaw and Coleman, moved across the Elizabeth River to Portsmouth, Virginia and went to work with Tex Peace. On October 25, 1973, Coleman's body was found in the Elizabeth River near his home It was thought that he slipped and fell into the river and drowned. Coleman invested his tattooing money wisely in the stock market. At the time of his death he had accumulated a small fortune, which he left to the Virginia School for the Deaf, the Norfolk United Fund, the Tidewater Lions Club and the St. Mary's Infants Fund. Read more about Cap Coleman in The Life & Times: Cap Coleman found in our online store.